Souder, Miller and Associates (SMA) is the founding organization for WEFTA, giving it its start and providing all of the administrative support necessary to keep it moving. SMA has also provided much of the professional support and acted as a pool of resources for volunteers. What’s more, the company has a matching grant program which many SMA employees have taken advantage of while donating to WEFTA. The Wallace Genetic Foundation has been WEFTA’s most significant supporter and, along with SMA, a source of funding support covering the administrative and operational costs of the organization. This has made it possible to designate all other funding received to direct project expenses. WEFTA was born from Waterlines, a non-profit organization also based in Santa Fe, New Mexico. Waterlines provides funding and technical support for drinking water projects in small, rural communities where water sources are contaminated or distant. They have recently focused on projects in Kenya, Ethiopia and Panama. Waterlines has been a supporter of WEFTA projects since WEFTA’s inception. 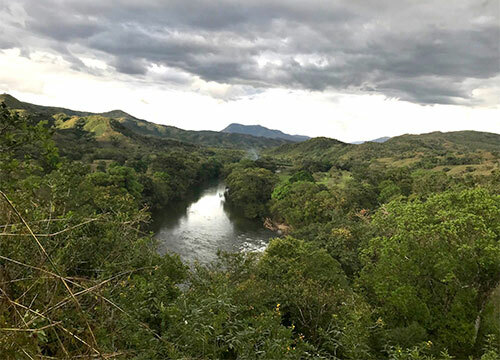 The American Chemistry Council (ACC) has been one of the premier financial supporters of WEFTA’s potable water projects in Honduras since 2003. ACC has funded projects to bring clean drinking water to over 8,000 people. ACC also provided chlorine to Puerto Rico as part of the emergency relief effort in the wake of Hurricane Maria. Engineers from AQUA Engineering, based in Bountiful Utah, have been involved in projects primarily in Peru and Bolivia. They have provided technical and financial support to the work of WEFTA, especially as it pertains to wastewater treatment. Daughters of Charity International Project Services (DOCIPS) is a nonprofit service organization that helps sisters working in developing countries to obtain funds and resources needed for local projects. WEFTA has partnered with DOCIPS to provide technical assistance and develop ways to alleviate the problems associated with unsafe water supplies and inadequate sanitation for these poverty-stricken countries in Latin America and Africa. Bell Supply Company has donated large and expensive well drilling drill bits and other materials to our partner organization in Bolivia, Suma Jayma. 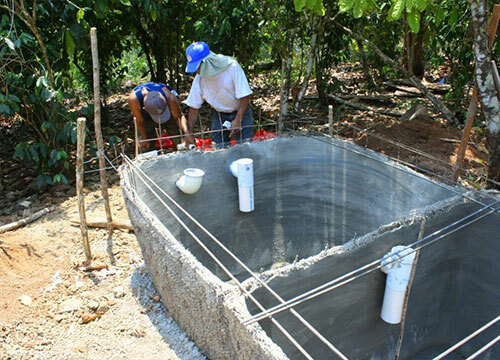 Fintrac administers USAID funding for water projects in Honduras. Fintrac has partnered with WEFTA on multiple projects in which WEFTA provides engineering design and technical supervision, and Fintrac administers the USAID funds and organizes the project at the grassroots level. WEFTA has teamed with Habitat para la Humanidad – Guatemala on the construction of latrines and water filtration projects for a few communities in Guatemala with whom Habitat has worked. WEFTA has worked with leadership from the Habitat national organization of El Salvador, Habitat para la Humanidad – El Salvador, in evaluating community water projects and developing potential solutions. Iceworks, based in Albuquerque, New Mexico, is a long-time donor and supporter of WEFTA. When you lease an ice machine from Iceworks your first monthly payment goes directly to WEFTA to help fund clean water projects in Latin America. Lutheran World Relief (LWR) works with local NGO’s to advance rural development. WEFTA has teamed with LWR in Colombia to provide technical assistance to ten rural community water systems near Colombia’s Caribbean coast. Volunteers from New Mexico Rural Water Association (NMRWA) have made trips to Latin America to scope out potential new projects. Mills Bit Service, Inc. has donated large and expensive well drilling drill bits and other materials to our partner organization in Bolivia, Suma Jayma. Real Time Solutions is a leading web software company. With over 1500 websites and software applications built, we know how to provide the right solution for WEFTA. Rodgers and Co., Inc. of Albuquerque, NM has provided invaluable training opportunities to our friends of Suma Jayma in the science and art of drilling water wells. The company has also donated many materials to the efforts in Bolivia. Skolta’el Yu’un Jlumaltic, A.C. (SYJAC) has been doing important work in Chiapas, Mexico for decades. The organization was founded by Don Samuel Ruiz Garcia, the Catholic Archbishop who became world renowned for having helped negotiate the peace between the Zapatista rebels and the government of Mexico. WEFTA is proud to have collaborated with SYJAC on projects throughout the State of Chiapas. The Spirit of Christ Catholic Church of Denver, CO has teamed with WEFTA on community development projects in El Alto, Bolivia and is committed to an ongoing relationship with WEFTA in support of the poor of the altiplano region and their water and sanitation needs. Save the Children Honduras (SCH) has been an instrumental partner with WEFTA volunteers since 1999. We have paired SCH’s local project administration expertise with WEFTA’s engineering experience to successfully complete multiple projects in Western Honduras. Suma Jayma is a Bolivian NGO with whom WEFTA has worked on numerous water and sanitation projects since the very founding of our organization. Suma Jayma is comprised of Aymara indigenous persons from the altiplano region. They are involved in the design and implementation of projects for potable water, basic sanitation, health, education, agriculture, and environment. WEFTA volunteer engineers and hydrogeologists have accompanied volunteers from United by Friendship on trips to Guatemala to work with rural communities with whom the organization has been working with for many years, while helping evaluate potential water sources and appropriate technology for wastewater treatment. WEFTA has teamed with a program within the U.S. Agency for International Development, better known as USAID, in Honduras to benefit communities of rural Honduras with community water systems. Ethiopia has one of the highest maternal and neonatal mortality rates in the world. Village Health Partnership (VHP), a Denver-based NGO, works with local communities in rural Ethiopia to ensure that medical facilities and healthcare providers are adequately prepared to provide appropriate medical assistance. WEFTA volunteer engineers and hydrogeolotists provide technical assistance to insure adequate water supplies are available to rural health clinics and hospitals served by VHP. The Vinyl Institute (VI) has been a key active supporter of WEFTA’s work in Honduras. The VI has provided funding for projects in southwestern Honduras, resulting in access to clean drinking water for over 8,000 people. For those that participate in the Amazon Smile program, and name WEFTA as their designated non-profit organization, Amazon makes a small contribution to WEFTA for each purchase made via their website.